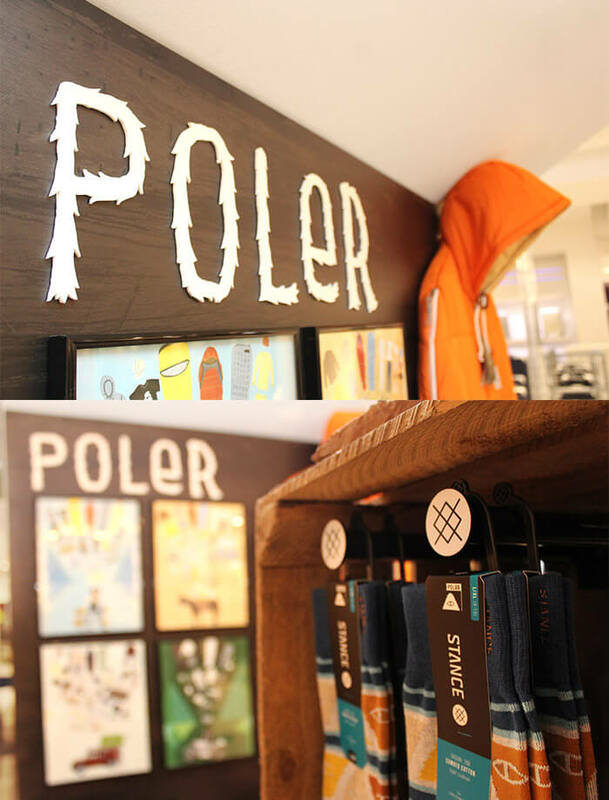 Poler Outdoor Stuff bridges the gap between action sports and traditional outdoor activities. 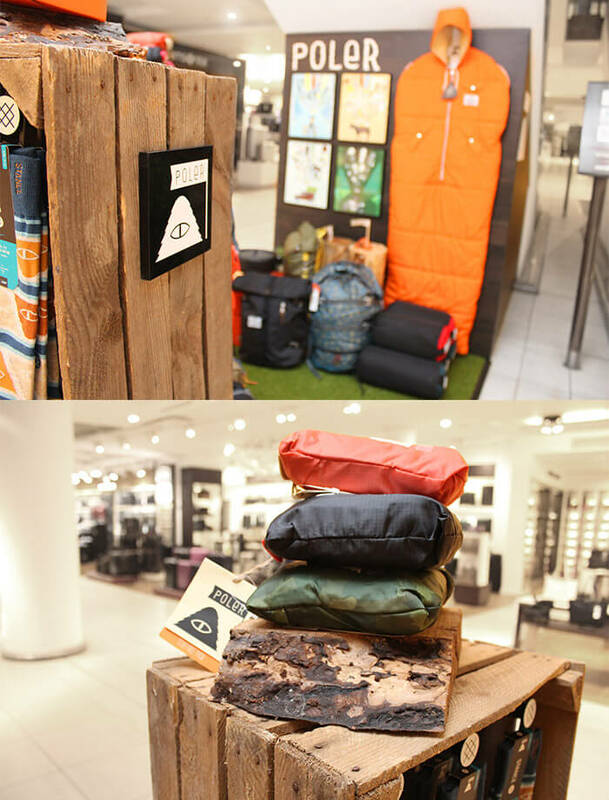 In the same vein, we brought the modern active outdoor lifestyle brand indoors, to Selfridges. 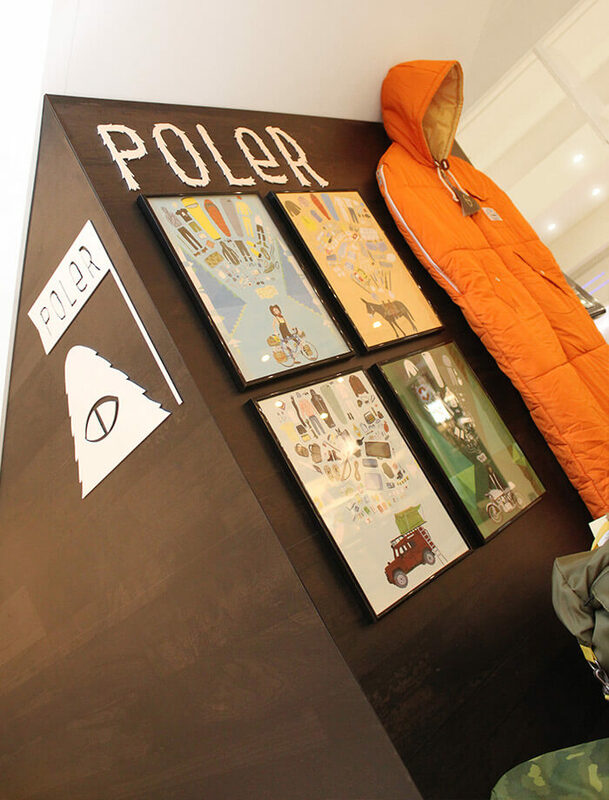 This popup space, open for 4 weeks, features a timber cabin, constructed beneath the escalator, with a hanging ‘Napsack’ and featured framed artworks. 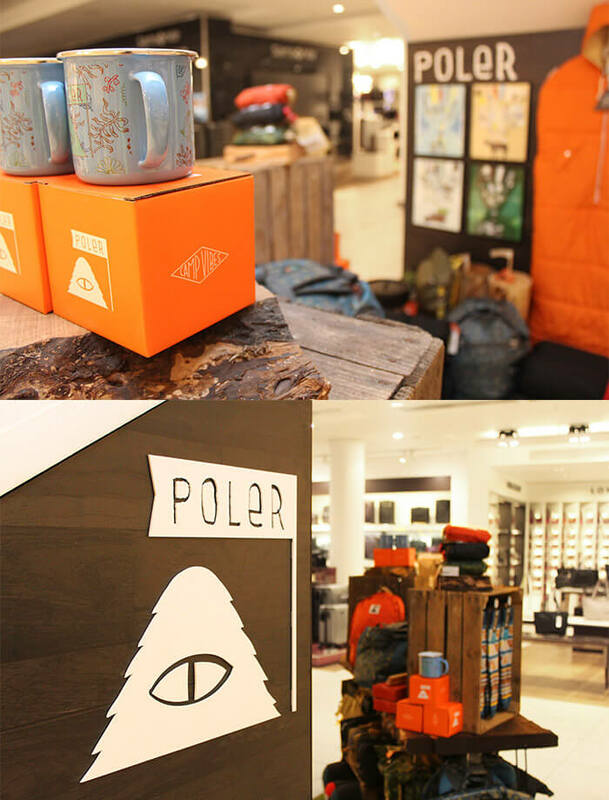 There is also a table, made from a hewn piece of reclaimed oak, with rough sawn timber display boxes and log podiums. 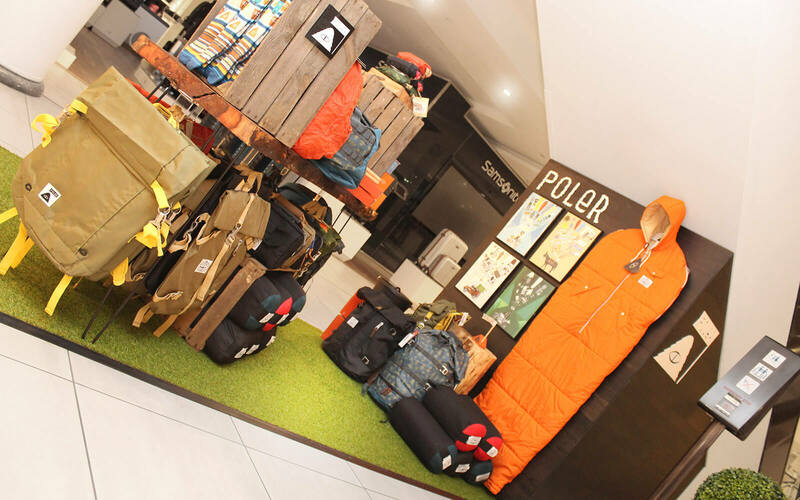 The space is framed by a large faux grass rug, which affirms the Oregon brand’s outdoor milieu.